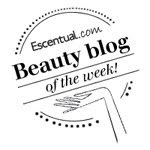 I have mentioned before on these pages that my hair is thick and porous and takes an age to dry whether naturally or by hair dryer so of course I am always looking for products that can speed up this process. Back in mid December I was sent the new Schwarzkopf got2b Mind Blowing xpress dry styling spray to try out and have been using it every time I wash my hair. 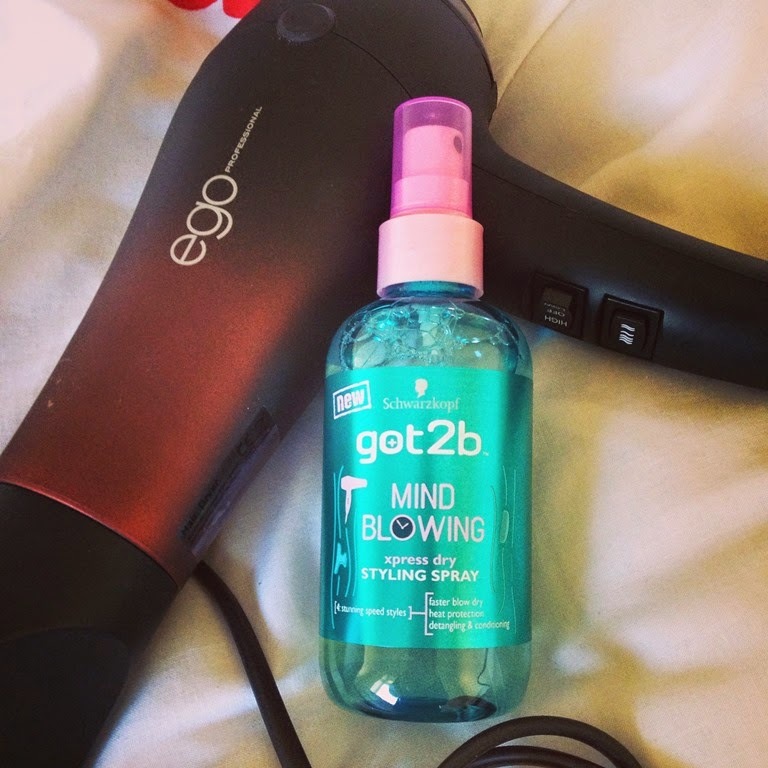 NEW got2b Mind Blowing xpress dry styling spray speeds up your blow-dry, detangles and conditions the hair and provides heat protection against hair dryers for perfectly styled hair in a fraction of the time. The spray has a lovely fresh and fruity scent and the one thing I learnt from using it is that you should use it with a bit of restraint. The first time I used it was I was a bit too happy to over apply and I ended with with hair that looked lank and was full of product. The second time I used it I applied far less (I didn't saturate my towel dried hair) and it worked a treat. I particularly love that it detangles the hair, I have a section of my hair that is always knotted and a real mess and this spray made light work of it. It speeds up blow-drying time to under 10 minutes and it provides heat protection. Hair is left feeling soft and smooth and used correctly leaves no trace of product.